Job Vacancy Announcement: Financial Assistant. 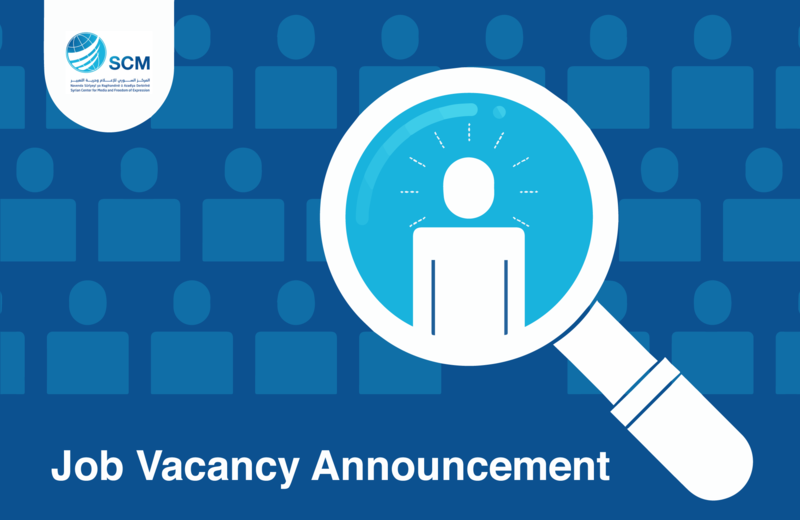 SCM / Jobs and Training / Job Vacancy Announcement: Financial Assistant. The Syrian Center for Media and Freedom of Expression (SCM) is an independent, non-governmental and non-profit organisation that aims for a society that guarantees freedom of expression, belief, human rights and access to justice. Since its establishment in 2004, SCM has worked to defend individuals persecuted because of their beliefs, promote human rights, and support and develop professional, independent and critical media. The SCM is recruiting for Financial Assistant who will help the Financial Department to Organize Their Works. Please take a look at a closer at the role description and required skills below. If you feel you are qualified for the role, please and send your CV to [email protected] and please add “Financial Assistant”in the subject of your email. Manages all correspondence within and outside the organization. Records all incoming and out-going letters and documents. Looks after administrative affairs of the Office. booked before the audit commencement. High level certificate of accounting and finance. English and Arabic are required . Please send a CV with contact information (telephone number and Skype address), previous experiences, as well academic qualifications. Please send your applications to [email protected] and add “Financial Assistant” in the subject of your email.